Drive Through Berms are one of the easiest ways to provide secondary containment for moving vehicles, equipment or large machinery. 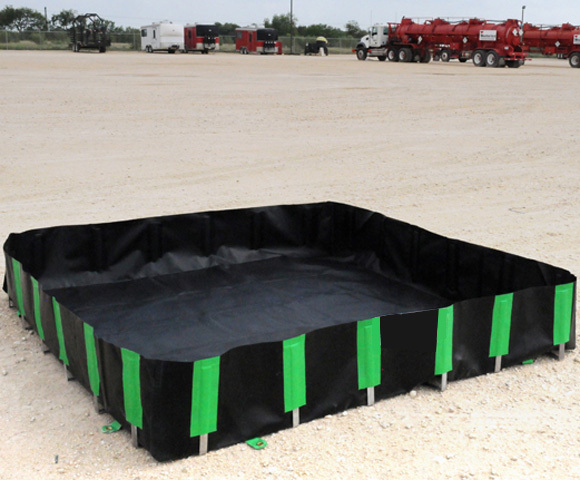 Constructed with an easy access point or method, these berms allow items to move quickly into a containment area. Mobility into the containment area often involves driving directly over the entrance wall. Models can include foam wall, self rising walls and more. Please check out the options below for more information on each of our berm options and how they can be used for your drive through requirements. to discuss your secondary containment requirements. One of the fastest options for drive through containment is the Foam Wall Berm. Designed with low-profile heights of either 4, 6 or 8 inches, these berms allow for equipment to drive directly over the walls of the berm. This creates easy access for items entering and exiting the area. As an added bonus, foam wall berms can also be rolled up for easy transport. For areas that require a higher wall height, self-rising drive through berms can be the perfect option. Designed with a combination of both foam and aluminum angle walls, these berms work to accommodate a range of storage requirements in your location. Drive through berms are designed for durable containment, while still allowing vehicles to be driven directly onto the unit. 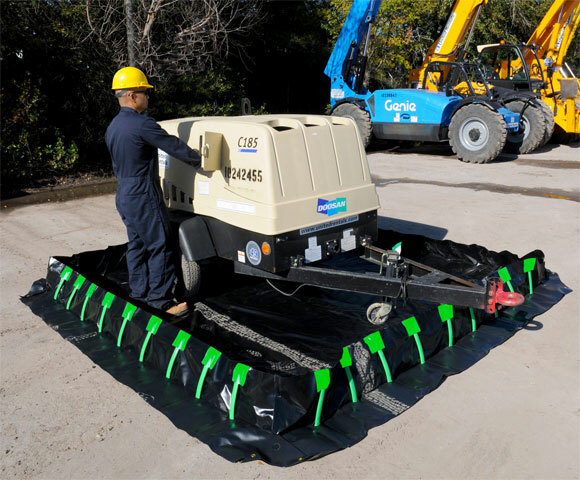 This has helped customers to easily provide containment under larger vehicles such as tankers, trucks, machinery and other larger industrial units. The U.S. Environmental Protection Agency EPA provides Grant Guidelines for states for implementing the secondary containment provision of the energy policy act of 2005. Secondary Containment Tanks: Includes popup tanks, decontamination tanks, and spill trays for containment of tanks and other vehicles. 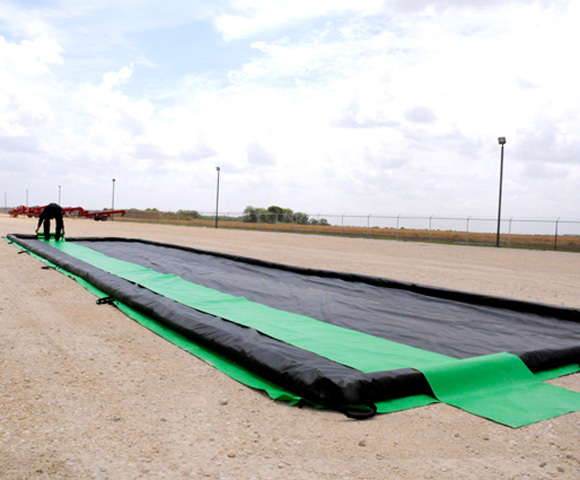 Drive-Through Berms: These berms include our complete variety of berms, tanks, and trays for secondary containment. Secondary Containment: This includes our complete variety of secondary containment products including tanks, berms, trays, and more.